A Meal from A to Z: 27 Food Stops at ABC! 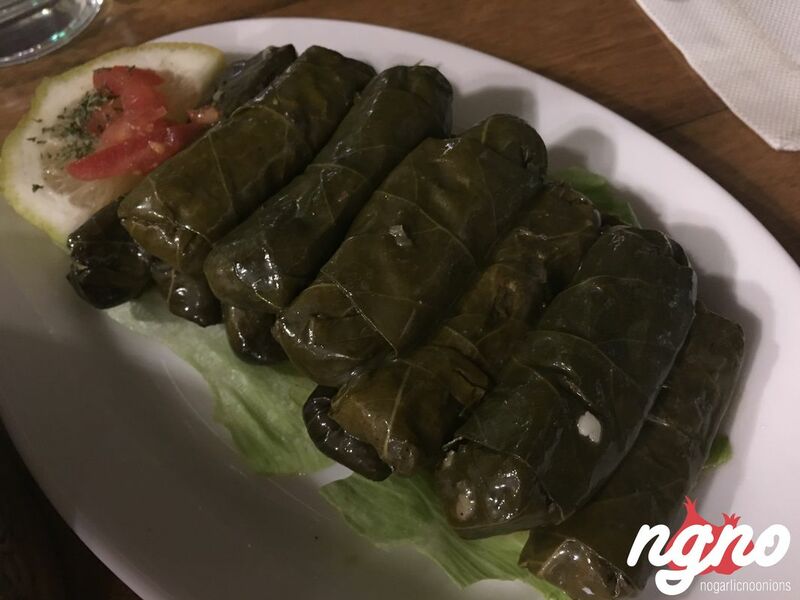 Lebanese food blogger and founder of ‘No Garlic No Onions’, Anthony Rahayel visits every restaurant in ABC and recommends his favorite dishes in each place. An expert food critic, Rahayel has been professionally reviewing restaurants from Lebanon and beyond since 2012, with his website now containing more than 4000 detailed reviews. Aiming to provide his audience with new discoveries, experiences and insight into local and international culinary trends, he has now hit up ABC, zigzagging between the levels to help you find your favorite dish. The food at this classic Lebanese restaurant is exactly what you’d expect. Start with the fatteh – crunchy, fried bread, served with thick and condensed laban as well as pine nuts on a bed of fried eggplant. I loved it! The French fries had a homey taste to them, too, and the hommus showcased the real flavors of tahina, lemon and chickpeas. Then came the tabbouleh ("koulouna lel tabbouleh"). Chopped well, the parsley is mixed with diced tomatoes and green onions, which add a more enjoyable flavor than white onions. It had a strong lemon taste and some olive oil for the final finesse. I liked it a lot. Hot plates followed, including cheese rolls that were crunchy and fresh. The sambousik had a special mix of spices and made with good dough. The kebbe was good too, especially when dipped in hummos. Bar Tartine is a place I enjoyed often, while at ABC Achrafieh, I passed by for its breakfast and boy was I happy I did. The place has a very homey feel - just come, sit, relax and enjoy the smooth jazz music while a basket of bread and olive oil land on the table. I enjoyed the labneh with faluche zaatar. Faluche is a traditional bread in the Nord-Pas-de-Calais region of northern France. It's a pale white bread that is soft and fairly dense. It is neither round nor flat, but looks somewhat like a small-deflated soccer ball. Faluche is made with white flour, baker's yeast, water, a little salt and oil. Half a bun is cut in four pieces and topped with fine zaatar (thyme) that's not acidic, non-oily and enjoyable to the last bite. Next to that is a mountain of Labneh with olive oil and a plate of cherry tomatoes, sliced cucumbers and black olives. Tasty and generous at the same time, I encourage you to try it. BRGR.Co is one of the most high-end burger places in Lebanon, this fine eatery serves gourmet creations made by the renowned Chef Hussein Hadid, a person I appreciate and respect. I personally prefer the 6OZ steak. It comes at just the right thickness, and I order it cooked medium and served with cheddar cheese and caramelized onions on the side. We were lead through the differences between the three versions of meat 4OZ, 6OZ and 8OZ, highlighting the fact that they all contain the same quantity of fat, with more meat as the weights increase. The 6OZ is the best one of all. A thick piece of Australian beef, perfectly cooked, brownish from the outside and red on the inside, filled with passion and love. A burger is fatty, so it’s certainly not an everyday meal, but this one contains a proportional quantity of fat that melts under your teeth, activating all your palatal buds. 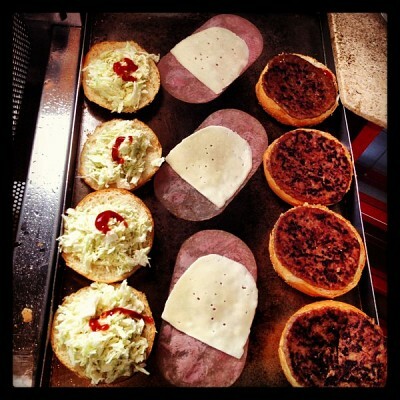 Enjoy it without sauce, ketchup and mustard, because the meat's juice is enough to soften the bun and make your every bite unique. You can’t compare with others in town. Many serve premium burgers, but BRGR.Co serves fine pieces of art. Cafe de Flore’s Lebanon’s French brasserie. It’s catchy and beautifully decorated set up calls on you to stop by. Whether you want coffee, tea, alcoholic beverages, lunch or dinner to enjoy a French ambiance on the last floor of ABC Dbayeh’s outdoors! I ordered the eggs with cheese and ham for breakfast on a nice sunny morning. 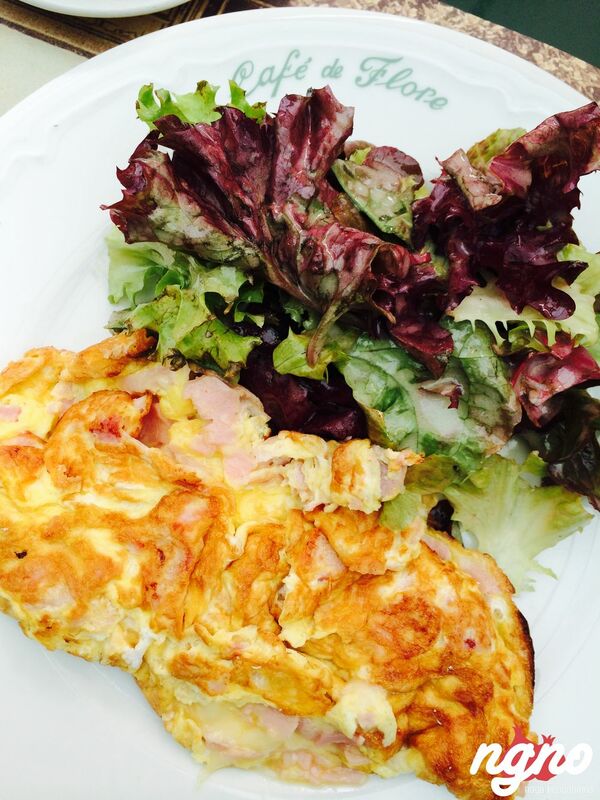 Served on a round plate and with a lettuce salad, the lunar shaped omelette offers a tasty mix of eggs, ham and cheese. Yum! A moist, adequately cooked blend of eggs with slices of ham and melted cheese. Casper & Gambini welcomes you for breakfast as soon as the mall opens at 10am. I was craving some eggs Benedict this is why C&G was my place of choice in ABC. I sat down on the terrace, under an umbrella and enjoyed the vibes. People were walking around the mall, music was playing in the background and greenery surrounds you. I was in the mood. The choices for breakfast are endless. 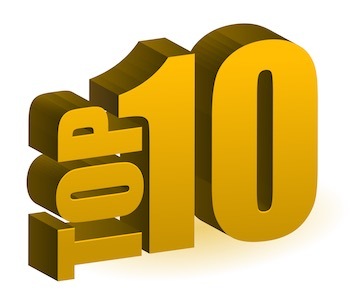 They have a large selection of coffee related items and a wide choice of food. I wanted to try some of the new items, so I went for the Croissandwich – a fleshly baked croissant with your choice of sliced Italian Parma ham, scrambled eggs, lettuce and tomato with lemon vinaigrette and a side of mesclun salad. A large croissant opened in its center and stuffed with moist scrambled eggs, good quality ham, lettuce and the vinaigrette that adds a lemony touch. I loved the plate, the flavors, the idea and the textures. Classic Burger is a place anyone can come in to have a good burger. 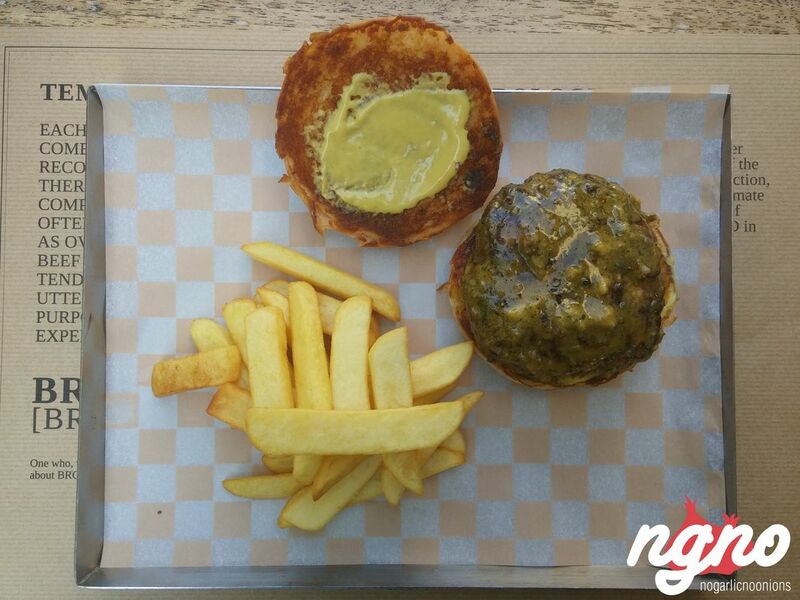 Old or young, everyone enjoys its burgers, which are cooked perfectly. We ordered the mozzarella sticks, which were extremely yummy with the outer crust perfectly crunchy, the side Caesar salad that came with fresh lettuce and great salad dressing, the blue cheese burger, chicken burger with mozzarella cheese, and the mushroom and Swiss burger. Every burger comes with fries and coleslaw salad, but you can have baked potatoes if you prefer. The fries are to die for. Perfectly cooked with traces of skin - I can still feel them crunching. Cozmo is your new New York style casual diner, offering a large selection of international dishes as well as the widest imaginable choice of mouthwatering desserts. Take your time to enjoy the decoration. People chit chatting, waiters walking, forks and knives clinging... Welcome to the vibes of Cozmo. The simplicity of the menu makes you want to order a lot but don't do that before having a look at the desserts. Cozmo’s mouthwatering dessert menu might make you want to skip lunch altogether. 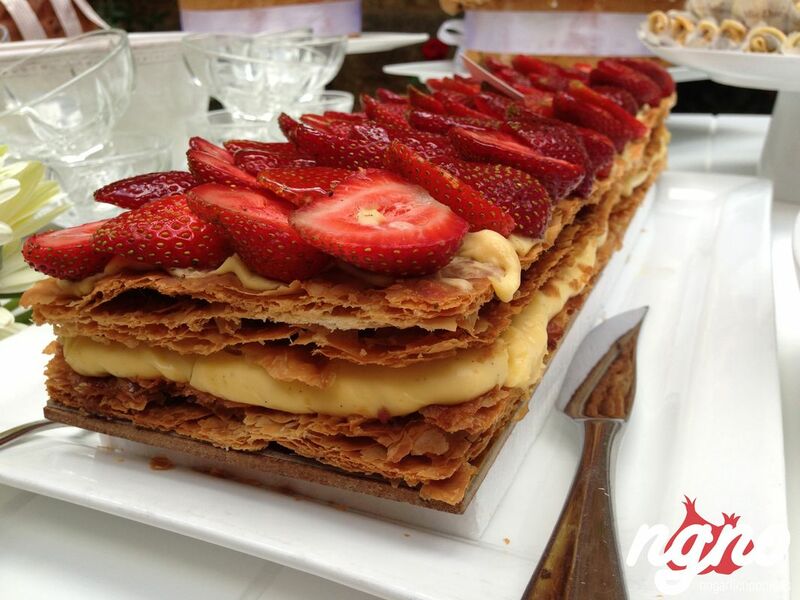 I loved the long Mille feuille, served on a wooden board. Three layers of puff pastry between which, a thick layer of pastry cream is laid. Beautiful, this dessert will make your mouth water. A slight crunch, the dessert’s sumptuous creaminess and a caramel sauce add some sweetness. I loved the idea behind this cake – the crispiness of the upper layer, the richness of the cream and the sweetness of the caramel. 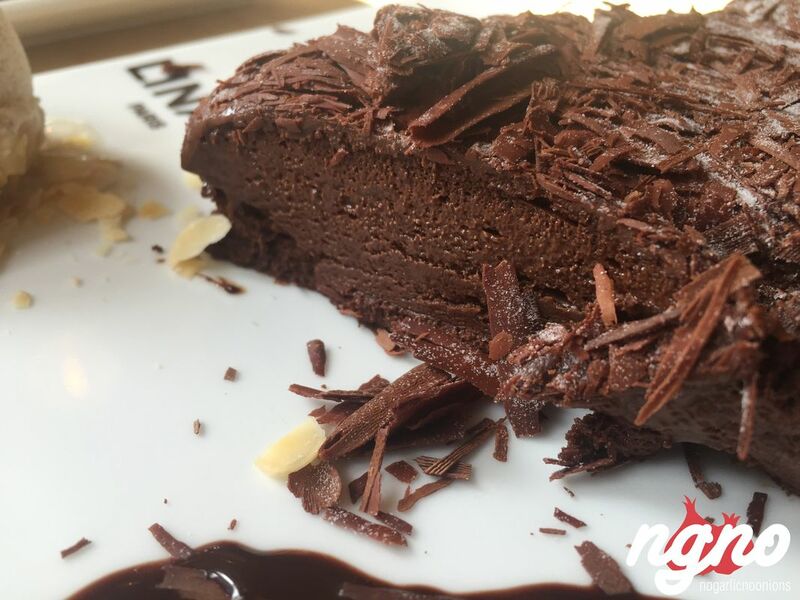 In ABC Achrafieh, Divvy is a great place to try. The new location is where you should go for some food sharing, great vibes, good service and beautiful decor. The food tastes good, too! The steak sandwich is OMG! I'm not sure what changed because Divvy was far from being as good as I experienced it in ABC. When coming back to ABC for lunch, Divvy will be my choice to have this awesome sandwich. Grilled beef, cooked cherry tomatoes, lollo verde lettuce and wholegrain mustard, which makes all the difference. The pain de campagne is so fresh, toasted to perfection and hosting this mix of endless flavors. Bravo chef! I came here on a whim with a group of friends, and to be honest, I didn’t know what to expect – but I actually enjoyed the food. 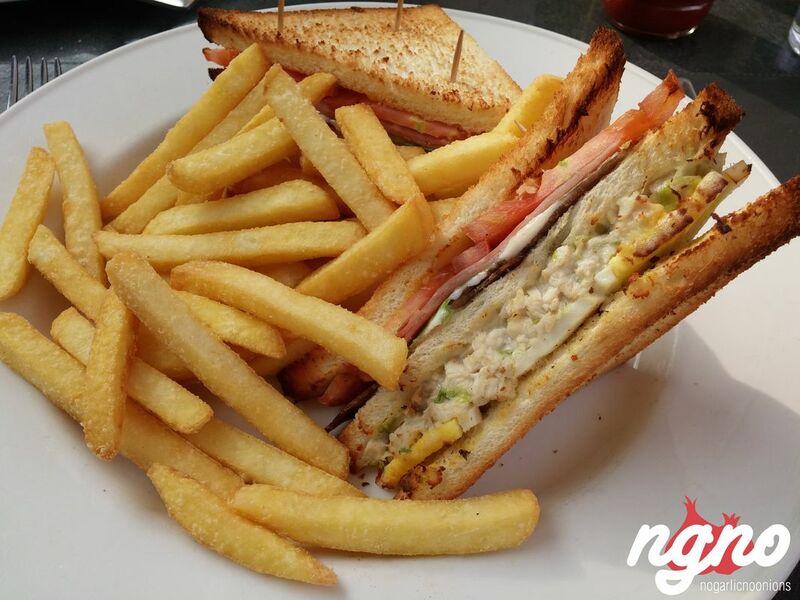 The club sandwich is exceptional. Three slices of thin and toasted bread support the rich filling without having a prominent taste. Inside are more than six different ingredients, of which the roast beef slices, thin tomatoes, the chicken mix with mayonnaise, mayonnaise spread, ham, lettuce and eggs are felt in every bite. The best part is that the bread borders are removed eliminating the crunchiness and the chewy feel. Bravo for such a sandwich, which can be considered one of the finest clubs in town. Recently opened at ABC, DipnDip seems to quickly be making a name for itself around town, and when I started hunting down the best waffles and pancakes in town, many suggested I take a pitstop at DipnDip. I ordered the chocolate waffles. Consisting of two waffle quarters topped with chocolate and white chocolate sauce, the order comes served in a branded plate with whipped cream on the side acting as decoration. The waffle is fluffy and airy without any crunchy borders, which I like, but the chocolate on top is way too sweet. It was an overdose of sweetness for me – but maybe an ideal offering for chocolate lovers. Häagen-Daz’s Secret Sensations Crème Brûlée, another divine combination from the Secret Sensations range, is a truly indulgent ice cream dessert! Just imagine a center of caramel sauce surrounded by smooth rich vanilla ice cream mixed with caramelized sugar pieces. With the caramel sauce taking up 10% and the caramelized sugar pieces taking up 4.5%, there’s not much room in these individual pots for regular ice cream! And sometimes, I simply go to the sorbet. Although I am not a big fan of tea, I surely am a fan of Kusmi Tea – a brand that dates back to the late 1800s. My love story with the colorful concept first started when I walked into its store on Champs Elysees in Paris. The last pack I remember buying was its Air France's 80th anniversary special edition blend, which I enjoyed every night before bedtime. Today, you can try Kusmi yourself here in Lebanon at ABC. A colorful space is full of life and nestled next to the Nespresso landmark. I recommend choosing from the Detox, Sweet Love, Boost, Be Cool, Algotea, Euphoria or the BB Detox blends. 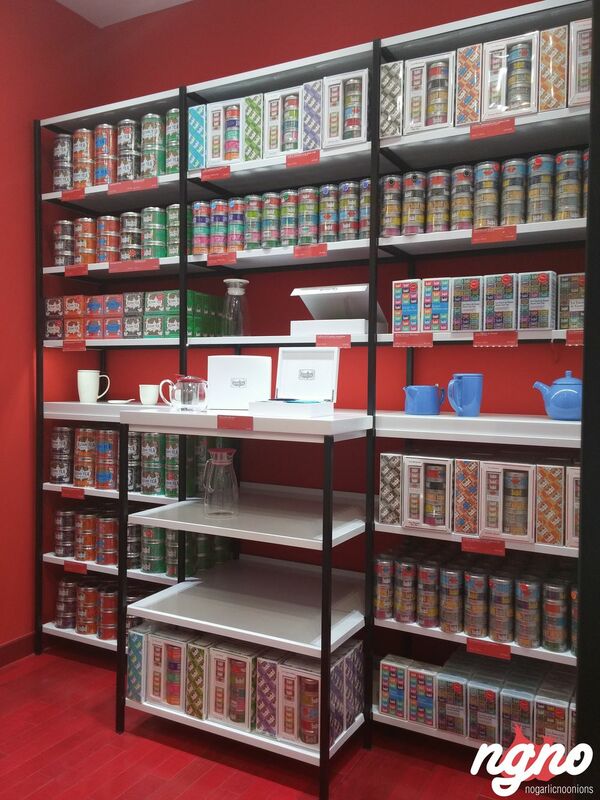 My favorite is their Jean Paul Gautier’s tin cans that carry their special blends, Anastasia and Prince Vladamir. Ladurée is a piece of Parisian culture in Beirut. As the door opens, you're welcomed into a marvelous space that's beautifully decorated. You'll find yourself transported to one of the most visited cities in the world – Paris. Just think Champs Elysees, Montmartre, the old artists quarter… and enjoy the wide selection of macarons. I suggest the Chocolate Yuzu macaron. La Mie Dorée opened more than 30 years ago, catering fine delicatessen pieces of pastry a few know how to master. They have been known for their signature cakes: Chocolate Caramel tart, La Vie En Rose, Le Petit Philippe, Emotion and many others. Each is prepared with love and passion and more importantly maintaining the same taste since day one. My favorite is their strawberry mille-feuille is simply unique. Every bite is a different story; every ingredient transports you to the land of wonders. Every bite creates a sparkling effect on your tongue before feeling the different layers of red fruits, juicy cake and rose. This is a must try. You'll understand what I mean after the first bite. Ask for the coulis de framboises with it! Leila is a place full of beautiful details including things like the signed fabric place-mats made the Frette way, decorated Leila plates, salt and pepper shakers especially made with Leila logos and so much more. The decoration of the place is a piece of art: books, apples, jars are a few of the items displayed making the walls look like a giant painting that you will enjoy while listening to old Lebanese tunes we really miss hearing. The grilled cheese rolls are out of this world – they’re generous and full of taste making them the best I've had in Lebanon. The tabbouleh is a very good. 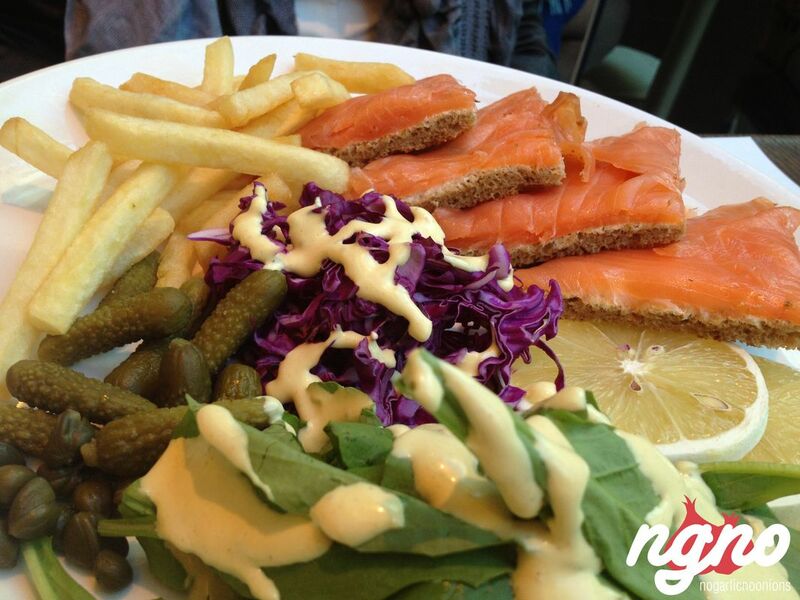 Freshly prepared with the right mix of dressing. The cheese mix casserole is a unique invention. Bravo! Soft white cheese melting in your mouth, releasing all the flavors. The kebbe sajieh is yummy and high-end quality. And finally, the stuffed vine leaves are really delicious as well. In brief, I loved it. Lina's in ABC is fresh looking with a touch of finesse. 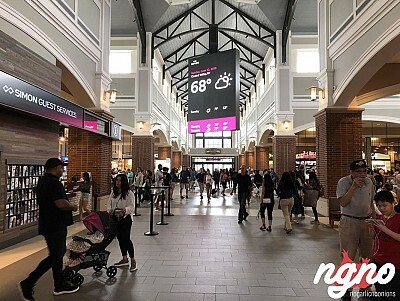 I was here to check it out and look into their new hot menu, served between lunch and midnight. I suggest the carbonara and the chocolate cake. 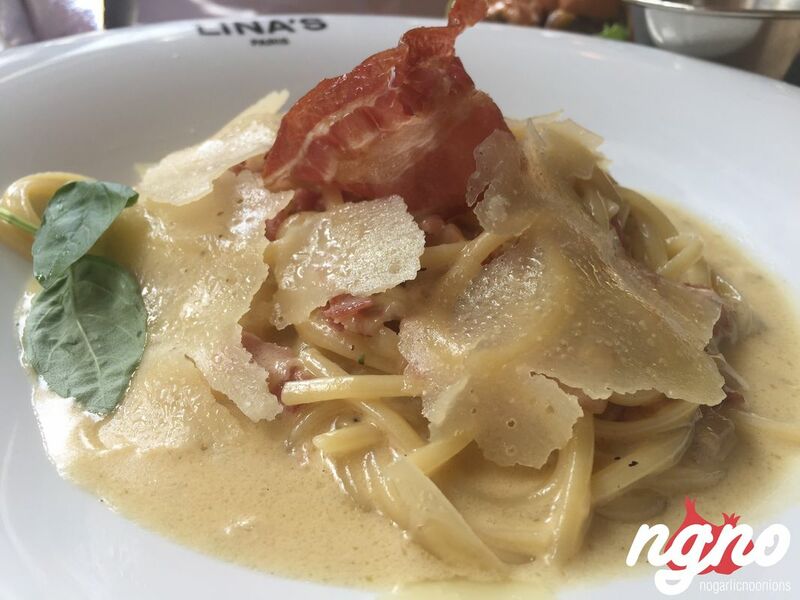 The carbonara was even better than many Italian restaurants in town. A real al dente carbonara with Parmesan cheese and bacon. The cream leaves a rich, full-bodied aftertaste obliging you to lick your lips. I loved the flavors, adored the bacon, the pasta quality and size. 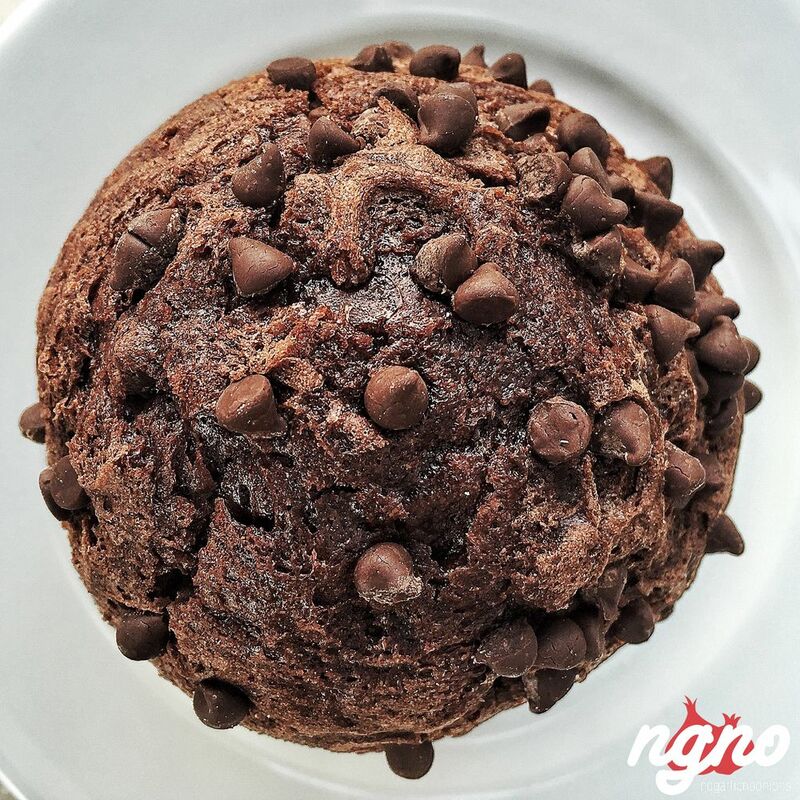 Finish your meal with a bite of the chocolate cake, moist and tender with an intense chocolate flavor, no added sugar and love – lots of it. Take a piece and lay it on your tongue...wait, breathe, relax and enjoy while your senses awake. That's a piece of marvel! Napoletana, like many say serves one of the best Pizzas Lebanon has experienced in years... and it is true. Napoletana is another great concept by Boubess Group, cannot be missed. One of the thinner crusts in town, simple and not chewy, filled generously with fresh ingredients. Fresh mushrooms, premium ham, tasty tomato sauce, oregano and non-oily cheese. I would suggest the Quattro Stagioni and jump into its 30cm circle of delicious ingredients. Every bite has a unique feeling on its own... Cracks of the dough mixed with the colorful flavors pod the ingredients move along your taste buds gently and softly. We were looking at each other and saying: yummy, bravo and even delicious! Walking along ABC Mall in Achrafieh, a beautifully designed window display caught my eye. It was the window of the brand I love – Nespresso. Some flavors I enjoy include: Ciocattino (Chocolate), Vanilio (Vanilla) and Caramelito (Caramel), which is my favorite. Caramelito, the sweet flavor of caramel softens the roasted notes of the Livanto Grand Cru. This delicate gourmet marriage evokes the creaminess of soft toffee. My favorite! What an awesome invention. The same Nespresso premium coffee with an added flavor of caramel adding some gentle sweetness to your cup and dissipating rich aromas of caramel that will blow your mind away. Here, your five senses are activated in a split of a second making you smile with joy. 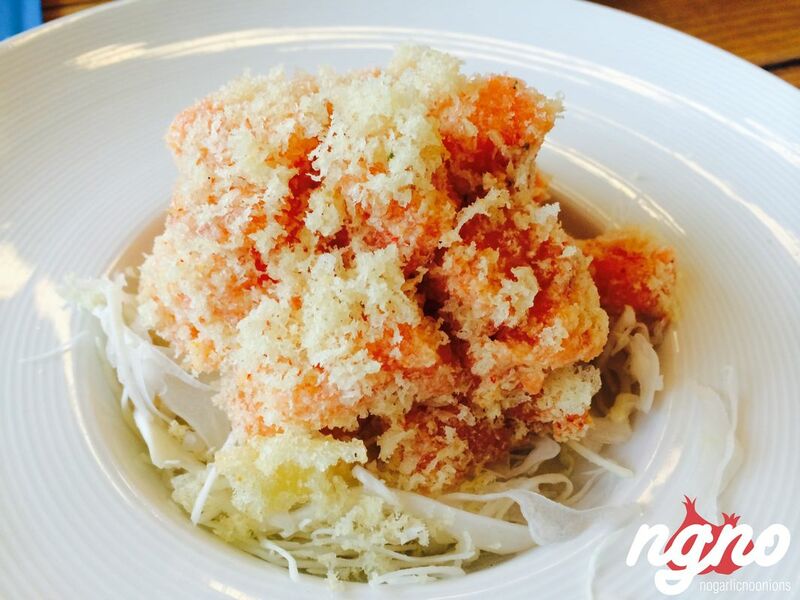 Obi’s concept is referred to as 'urban sushi', meaning it serves sushi as well as burgers and fries. As you walk in, a wall of colors welcomes you while black metal, light wood and grey decorate the other areas. Dozens of writings cover the wall and ceiling while below wooden tables, surrounded by grey sofas fill in the space. On white placemats sit black and white plates next to two bottles of soy sauce. 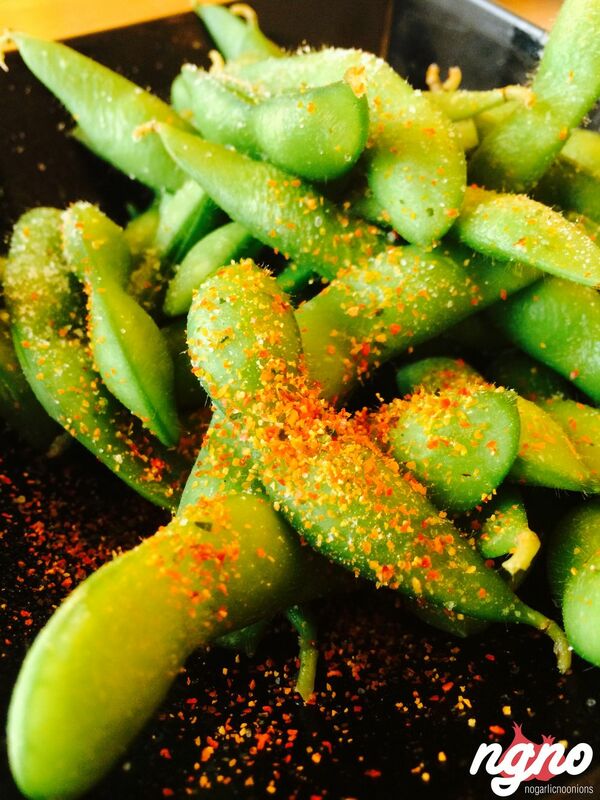 Stop by, you’ll enjoy some Edamame and their super crispy salmon salad. P.F. Chang’s has more than 200 restaurants in the United States and over 18 internationally, and serves Asian cuisine from five regions in China (Mongolia, Sichuan, Beijing, Shanghai and Hunan) along with unique desserts and signature drinks. The restaurant caters to different dietary and cultural needs, offering also a vast selection of gluten free and vegetarian dishes. Anyone who’s been to P.F. 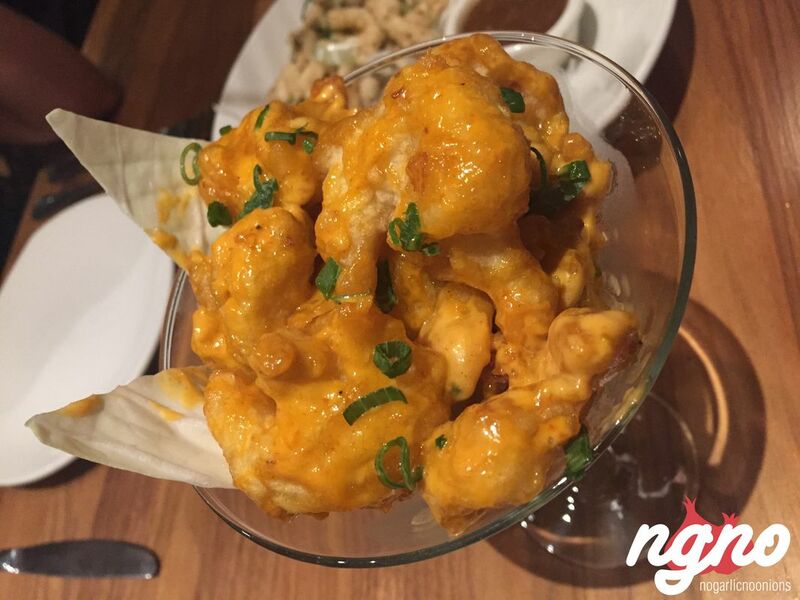 Chang’s knows that the dynamite shrimp are a must-have. Served in a martini cup with a cabbage leaf cut in half for decoration, this plate is one of a kind. The shrimp melt under in your mouth like butter while the sauce explodes on your tongue to reveal its freshness and spiciness. As you walk through ABC Achrafieh, you can’t miss the smell of freshly baked bread and pastry bites as you pass by Paul Café. Craving a cup of coffee and something tasty to eat, I stopped by for a quick bite before a meeting. I enjoyed their chocolate and chocolate almond croissant. The almond croissant deserves a moment. 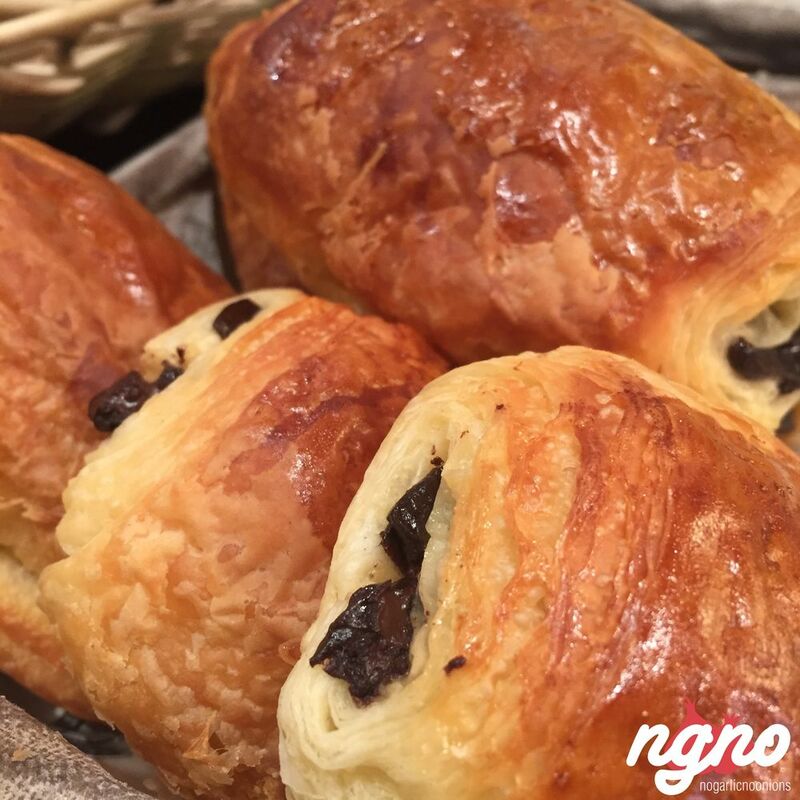 A normal chocolate croissant is baked, then filled with cream, and then covered with almonds and cooked again. The chocolate almond croissant was very rich and filled with interesting flavors and textures. Paul Café is a great place to stop by for a bite on the go before you start your shopping. An invitation to experience the French ‘art de vivre’. 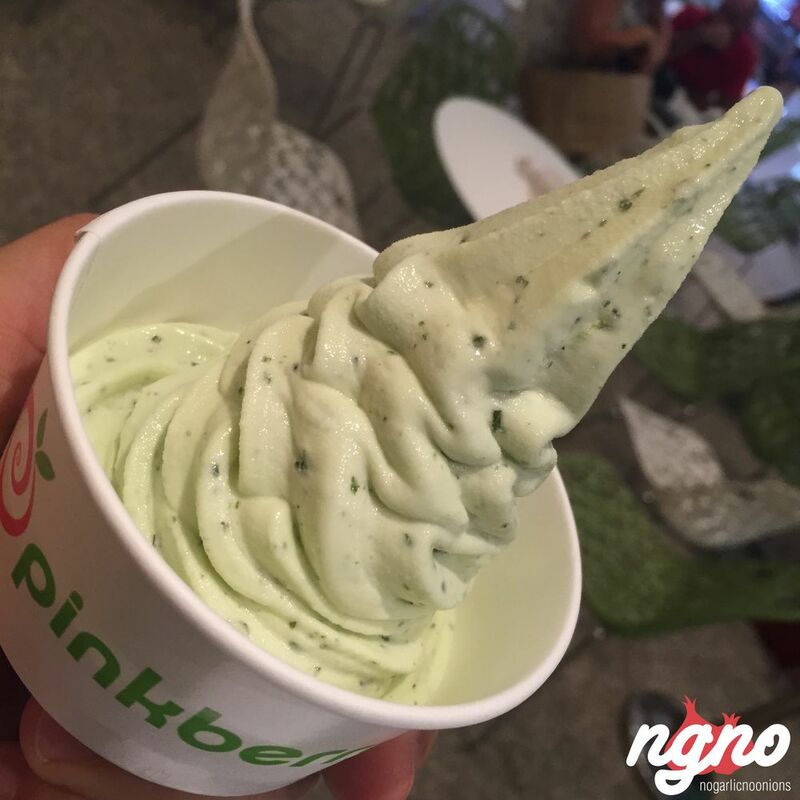 Head to Pinkberry to enjoy the famous Los Angeles nonfat frozen yogurt concept. 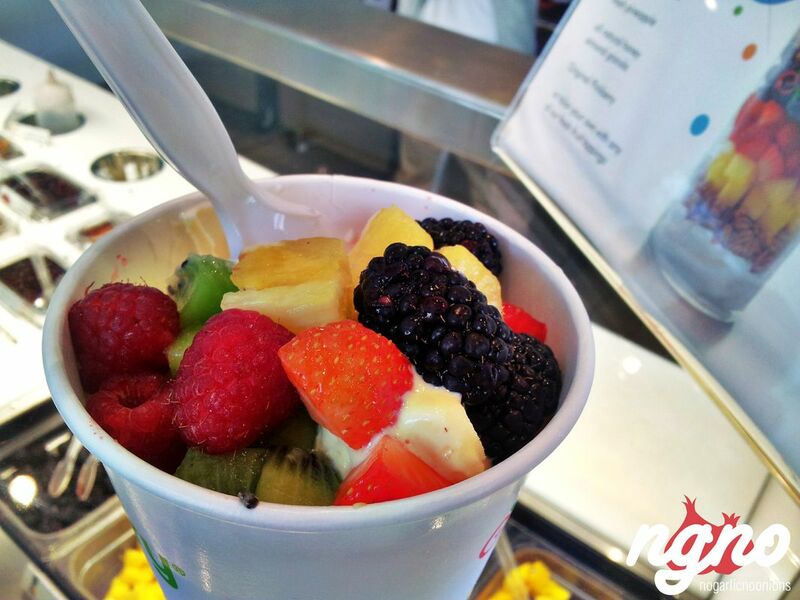 Offering a tangy, refreshing taste and guilt free treat, Pinkberry’s offerings are made with real nonfat milk and real nonfat yogurt containing calcium, protein, vitamins and minerals and packed live and active yogurt cultures. 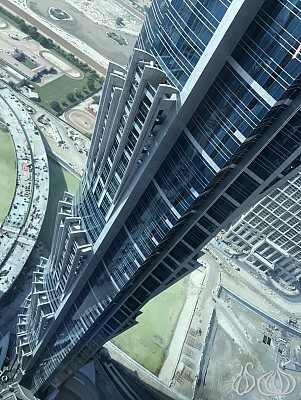 Allow the professional staff to take you on a journey of refreshing sensations. I enjoy all their flavors, but make sure to add healthy toppings, which range from fruits like strawberry, raspberry and blueberry. When I am in the mood for something sweet I add some crunchy chocolate chips, Cap'n Crunch, Cocoa Pebbles and coconut shavings. An American diner with its large signs, colorful walls, high ceiling and leather sofas, this is a diner we learned about in the movies. I enjoy their super sampler, a selection from the light menu and a local hit that was introduced to the market more than 15 years ago. A sample of different starters made famous by Roadster. The mozzarella sticks have a rectangular shape, a molten heart and super crispy envelope. The melting cheese has the appropriate saltiness, and oil-free touch and honey mustard sauce which rocks. Many have tried; none have succeeded in copying it. The chicken strips are to die for. 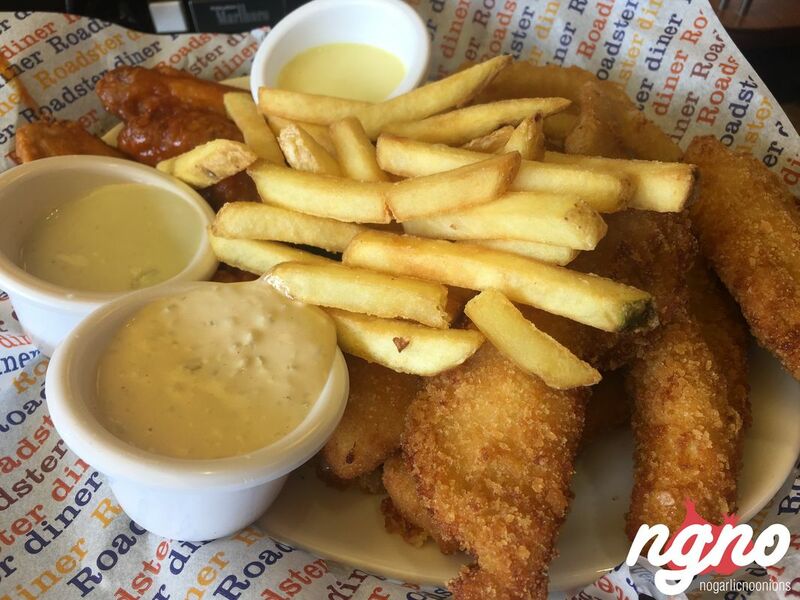 Extremely juicy and explosively crunchy, the battered chicken strips come with Roadster's Thousand Island sauce. The French fries are left with their skin, and the Buffalo wings are spicy and well cooked. The famous international coffee maker, Starbucks is a favorite of many. I like to pair my coffee with my cake – so I tried an espresso with the chocolate lovers cake. The cake will hit the spot for chocolate lovers as it includes cake, mousse and frosting. Every single time I pass by, 365 is packed with regular faces, some of whom I know go on a daily basis, from business men to groups of women meeting for lunch and so on. I don't think anyone stops to think if the reason they go to it is for their food or its convenience of offering a wide choice of food types or just because its situated in the heart of ABC Dbayeh. 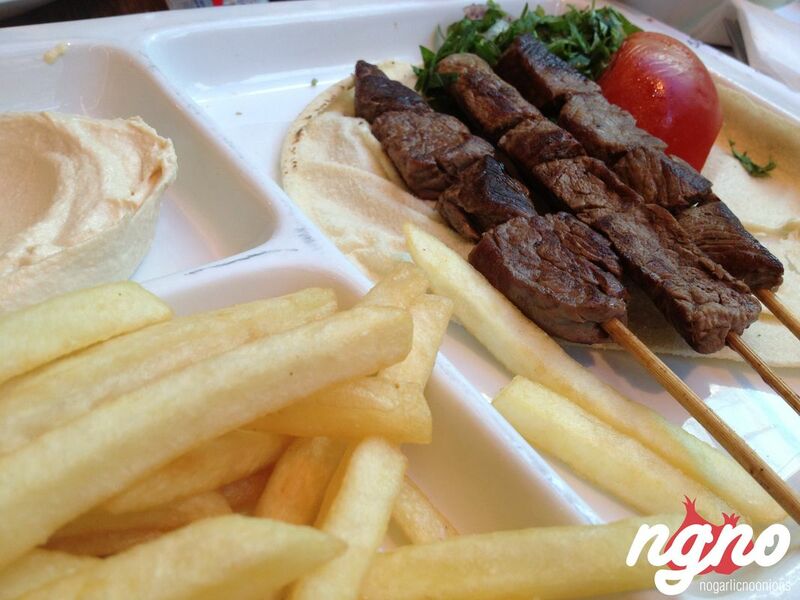 If you’re looking to order a variety of food, try their grilled halloumi, meat shawarma and chich taouk platter. I've been a fan of Urbanista since they first opened in Gemmayze a few years back. Serving tasty food in a unique ambiance filled with positivity and joy, Urbanista is the perfect way to start your day, stop by for a quick lunch or spend hours surfing the net relaxing on one of their designer sofas. I love the Brie and eggs with sundried tomatoes. Served in a copper casserole, the eggs are mixed with Brie cheese and tomatoes as well as black olives. A perfect mix combining the Brie’s juiciness and the perfectly cooked eggs that are full of flavor and taste. The trip simply starts with a crunch that forces you to lick your lips, and it turns out to be heavenly when the Snickers flavor erupts. 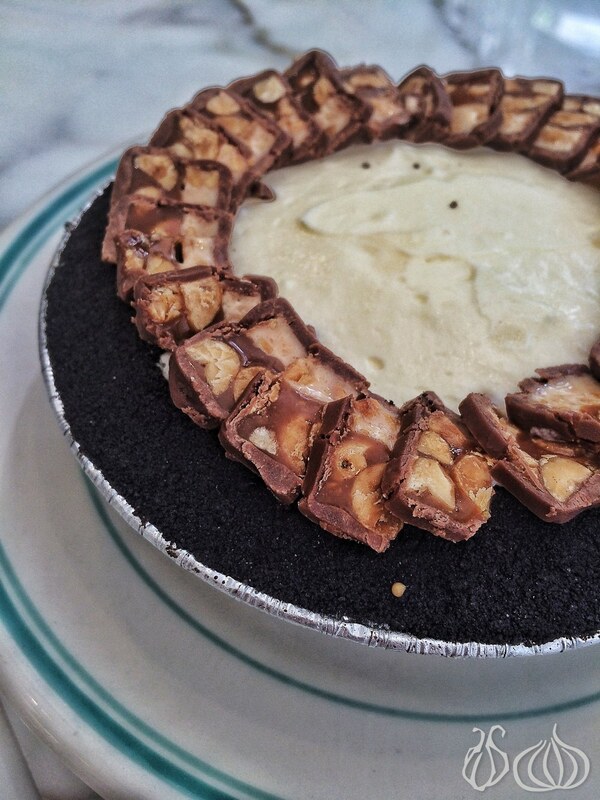 A dark chocolate pie crust, covered with white cream and slices of Snickers chocolate on top. This cake's textures are exquisite... Feel the crunch, feel the softness, feel the caramel, all combined make you scream from joy! 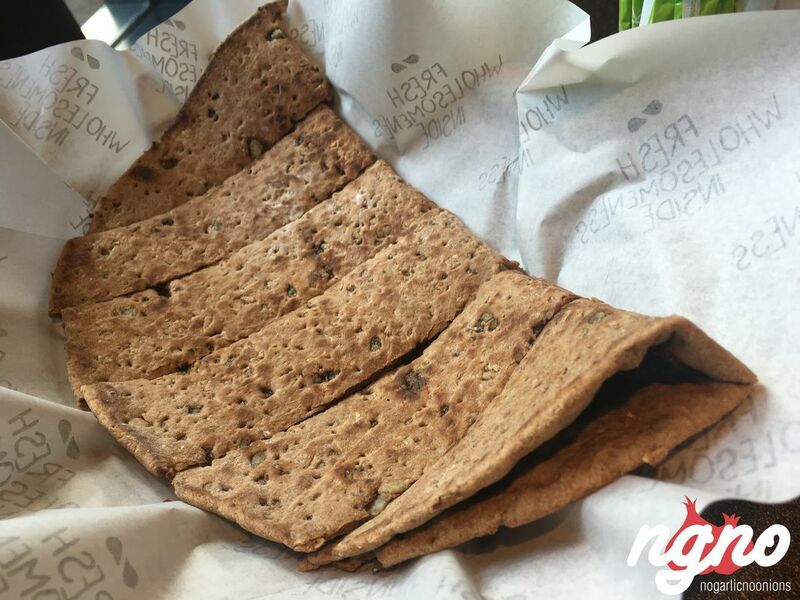 Zaatar w Zeit has been known for taking some of Lebanon’s tasty breakfast bites to new levels. Since 1999, this urban eatery has developed year-by-year, constantly introducing new items to its evolving menu. Today, Zaatar w Zeit’s offerings include teasers, salads, platters, pizzas, light dishes and, of course, their popular wraps. I enjoy going to the one in ABC with my kids, because there’s something for everyone. Personally, I like their quinoa tabouleh salad, halloumi sticks and their version of the ‘Wild Zaatar’ mankoushe, which comes with onions and tomato sauce on multicereal bread.